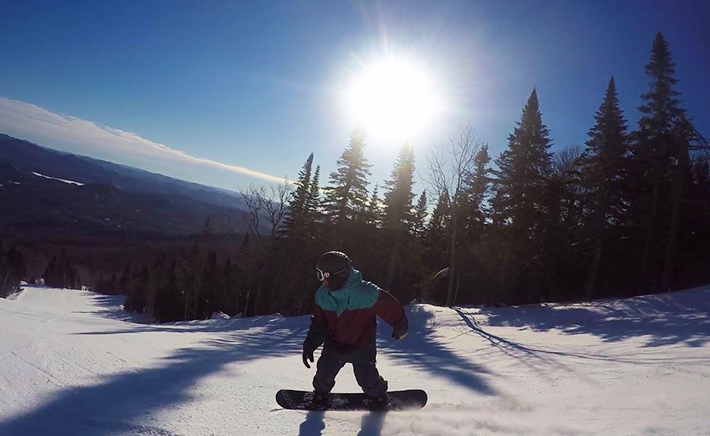 The days are getting longer and the February sunshine is warning up the hearts of our skiers and snowboarders. Our grooming team continues to work its magic on the trails to give us the best conditions possible. The current surface is beautiful and firm, ideal conditions to practice those carving skills! Nor-Am races allow athletes to prepare both mentally and technically for competitions on the World Cup circuit and are governed by the International Ski Federation. On February 6 and 7, join us at the feet of the slopes on the South Side to watch this high-calibre ski race in the Flying Mile trail. Cheer on Canada’s aspiring ski stars as they compete against other up-and-coming American and international athletes to win the women’s slalom title during the Budget Rent-A-Car Coupé Coupe NorAm in Tremblant.